Wiseman's Ferry is a quiet little town that has its own charm. Your car will love going on the ferry. I always stop by for a nice pub meal at the Wiseman's Ferry Bowling Club. I had a great meal in the little charming bowling club. Now don't be deceived by aesthetics; you're in for a treat if you are a parma fan. 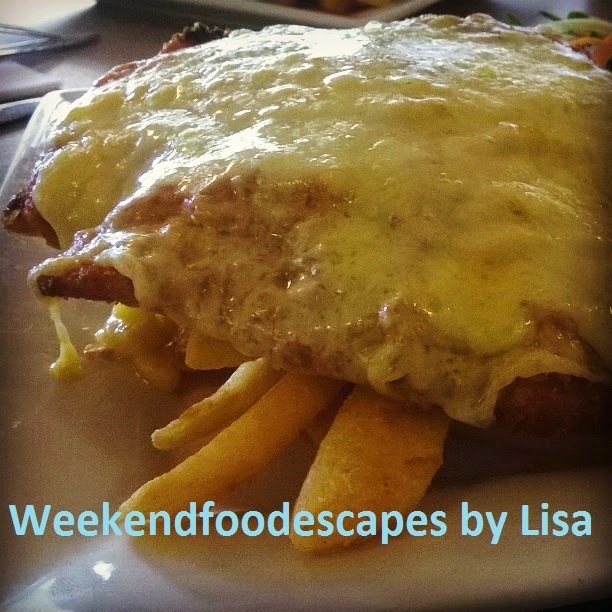 The generously proportioned chicken parmigiana ($23) was smothered in cheese and sat on a bed of chips with a side salad. Look at that oozing cheese! What a pub meal! 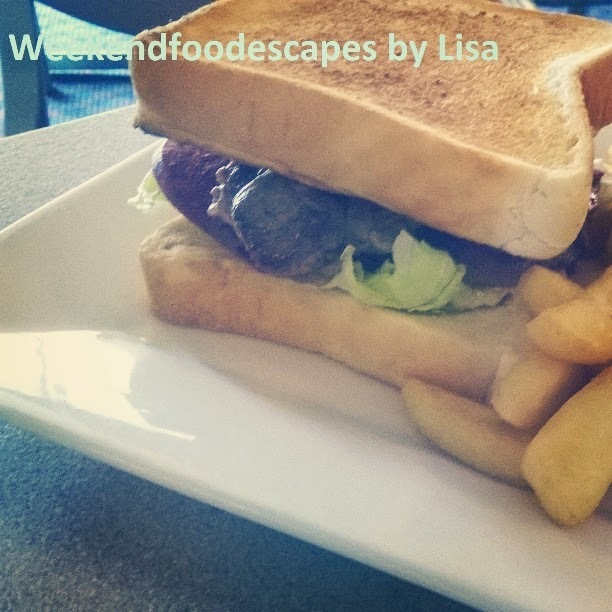 Or you can go for the neat and stacked steak sandwich ($15) with a generous side of chips. The sandwich bread is thickly cut and toasted. I washed the meal down with a pub squash. I then went for a very scenic drive through this little town and the car had a ball on the ferry. 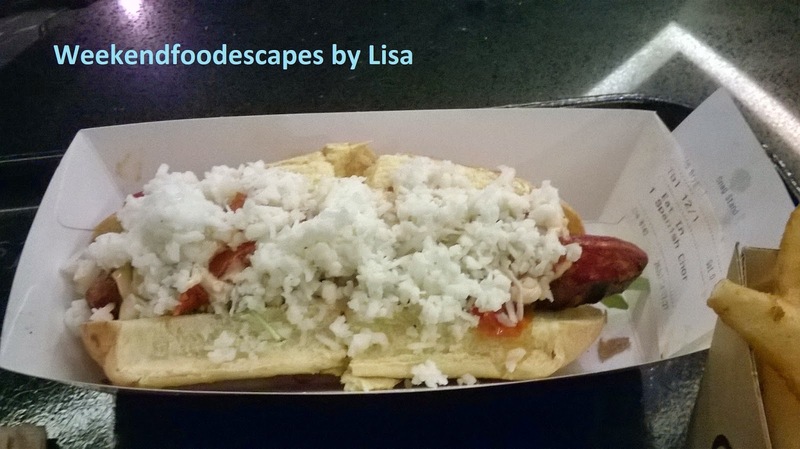 Situated in the food court of Westfield, the Snag Stand is very popular with customers who attend to the upper market food court. Quite there is a lot of stiff competition in the posh food court, a lot of people go to Snag Stand because it fulfills a certain craving. How does this sound to you? A spicy spanish chorizo grilled with semi dried tomatoes, chipotle aioli, baby rocket and shredded spanish goats cheese on a brioche roll (at $9.90) with a side of amazingly crunchy chips ($3.95 regular size) with truffle aioli sauce ($1.00). Well it tastes as amazing as it sounds. 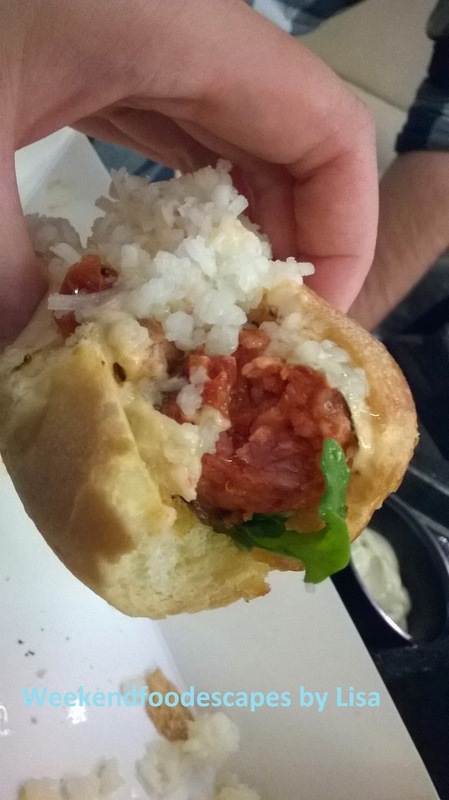 The spicy chorizo snag was very tasty. It probably had a little bit too much cheese for my liking but it has all the makings of a powerful punch of flavours. 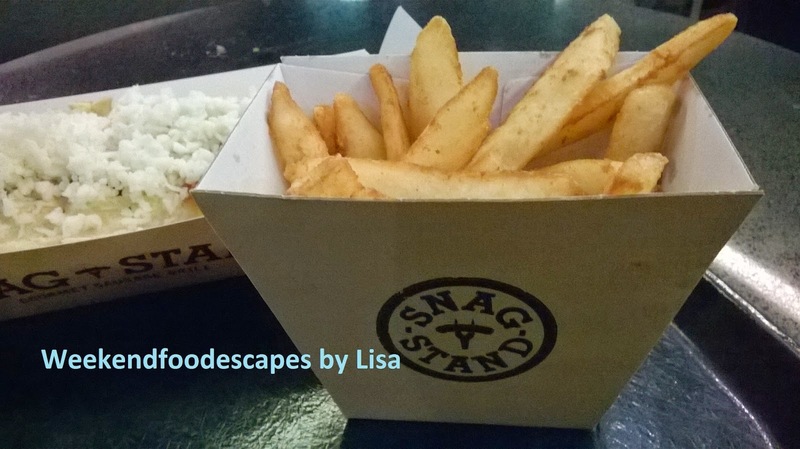 I always go for a snack at Snag Stand which typically involve the large chips and the truffle aioli but on this occasion I decided also on what I should be going there for.. the snags! Better go for a run after this meal. It's time to get your ramen on! Ramen on is responsible for that elusive ramen burger that stole everyone's hearts at the Noodle Markets. They no longer serve the ramen burger but their menu is still full of other cheap and cheerful delights. I had a bit of a taste of the katsu curry and was really pleasantly surprised. 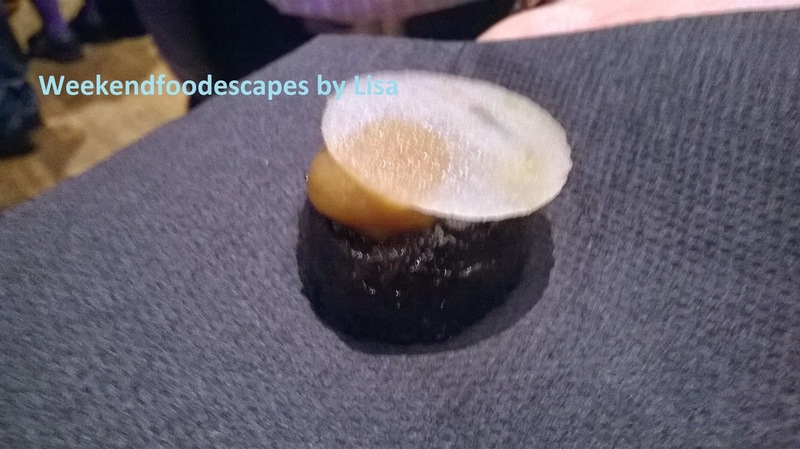 It was was sweet, spicy with your expected Japanese Curry flavours. It probably had more of a kick with the chili than your average Japanese curry. Ramen on is famous for their ramen which looked and smelt amazing! It will convert even your most biggest ramen skeptics. This picture above was the ramen with the chicken yakitori and a side salad. 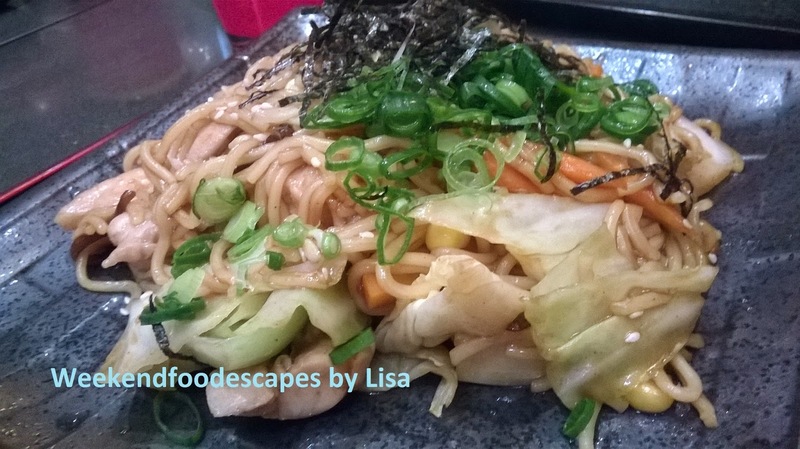 For those not looking for a brothy meal; you may want to go for either the yaki-soba or the yaki-udon stir fry. 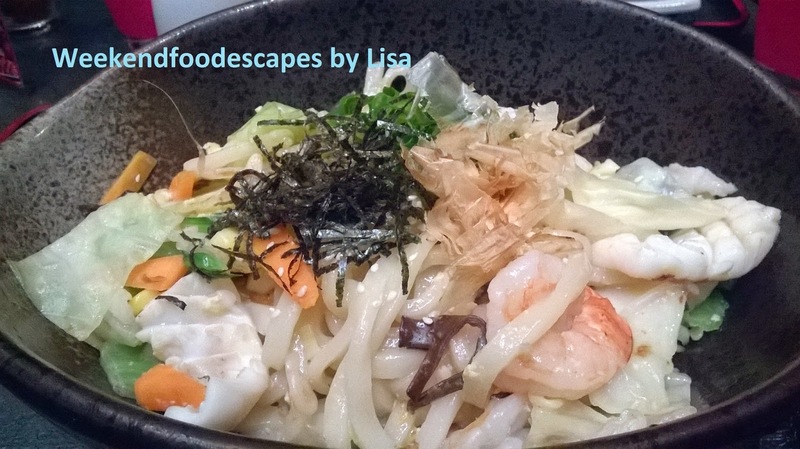 The Yaki-Udon has subtle flavours with a dash of seafood. The Yaki-Soba was jam packed full of flavour. On ramen is a great, quick place for lunch or a sneaky dinner after a few drinks. One of my favourite yum cha restaurants is the Fisherman's Wharf at the fish markets. It's fantastic because of freshness of the seafood, bustling atmosphere and if you're lucky then you'll have a beautiful waterside view. I suggest you get there early so you can get a table without the queues and you will also have more choice in food before the crowds come. 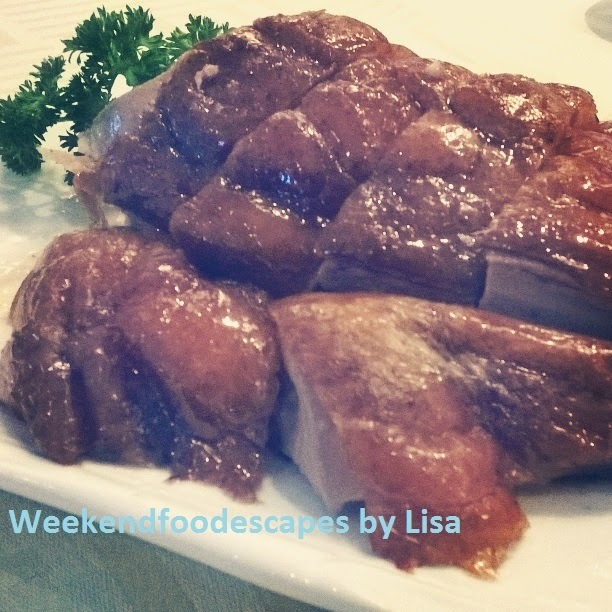 I had some of the yum cha favourites on this occasion including the duck which was had crispy skin. I normally don't order the duck because I don't like all the bones but the flesh was tasty and I do like the skin. The salt and pepper calamari was beautiful. 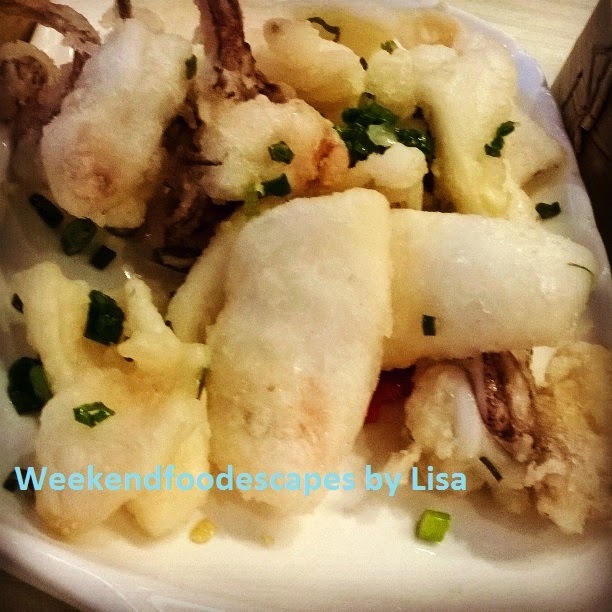 I loved the lightly crumbed salty but slightly peppery calamari. Delicious! 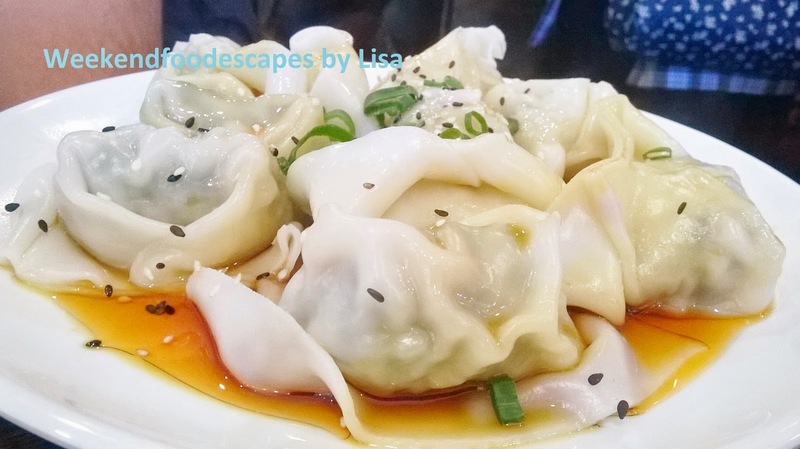 I also stuck to my yum cha favourites of dumplings. My favourite is the garlic chive dumplings but I also ordered the side of scallop/prawn dumplings as well. 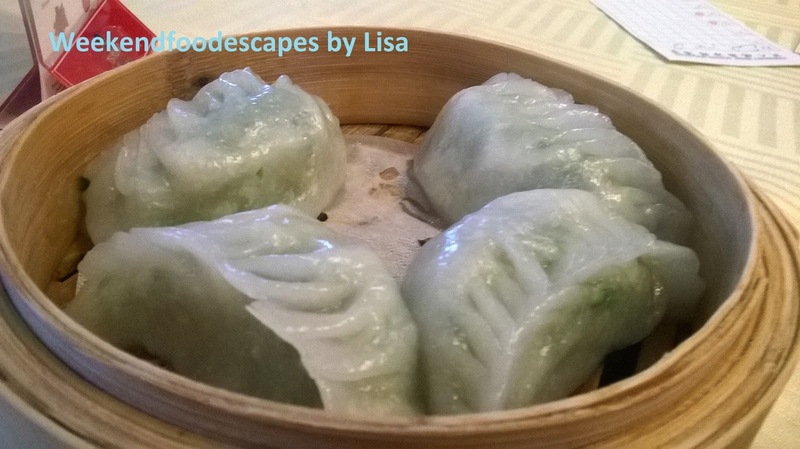 A nice and well rounded yum cha experience. It was all beautifully refreshing with some chrysanthemum tea. It's nice with Jasmine tea too but I like my flower tea. 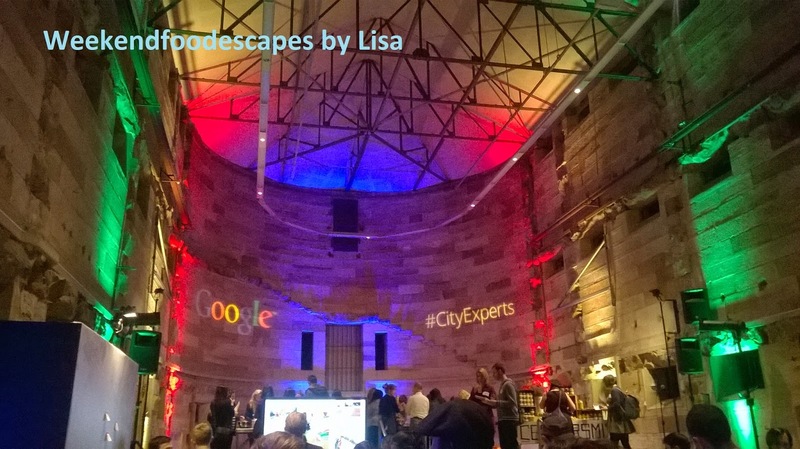 I was invited to a City Experts event hosted by Google called "Sampling Sydney". 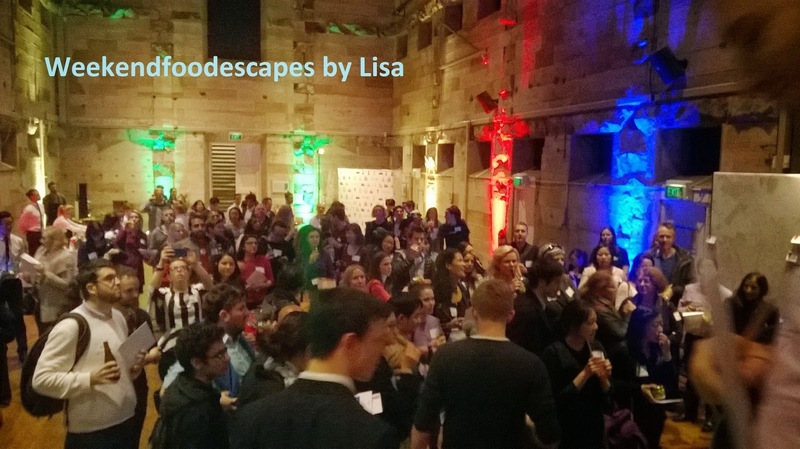 The event encouraged Sydney Syders to review restaurants, venues and other places in Sydney on google. The event was attended by about 200 people and was a great opportunity to meet new people. 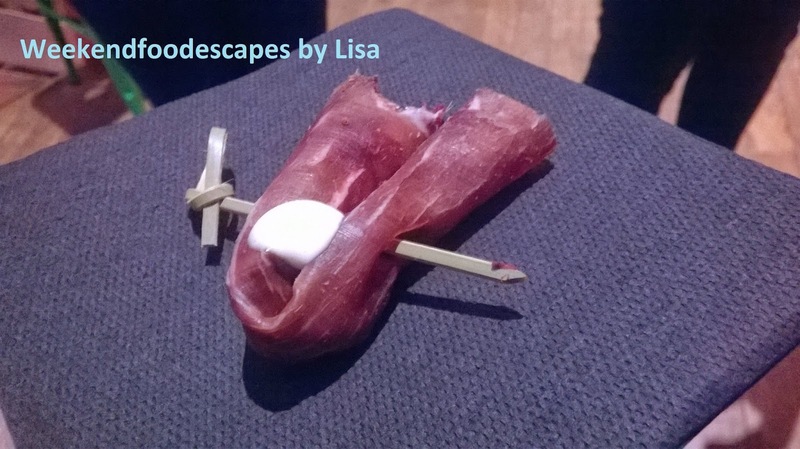 I snacked on canapes which included salmon, little burgers, blood pudding and prosciutto. 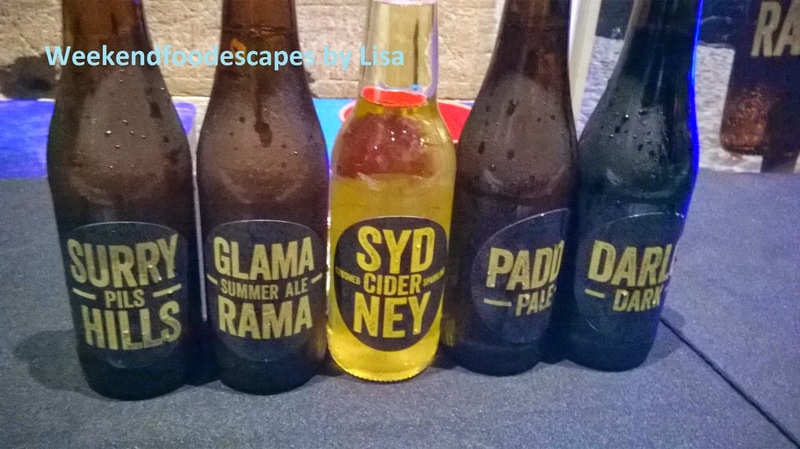 I downed Sydney Cider and a few sneak cocktails while participating in some of the events that evening. It was a very well organised event. 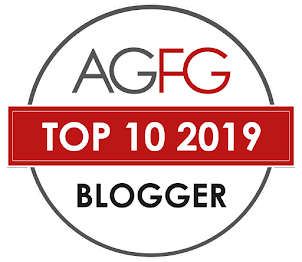 The activities included human bingo whereby you had to find someone who for example had eaten at Gelato Messina or who had the same shoe size as you. 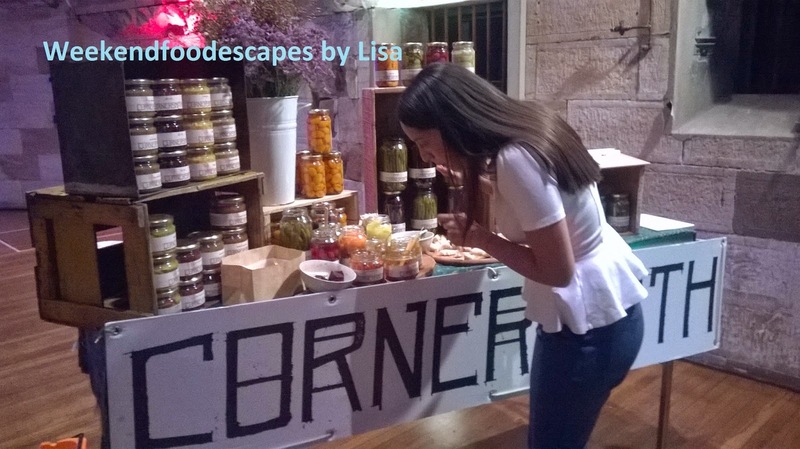 Cornersmith was also hosting a session whereby you could make preserved lemons. I tasted some of their tasty dips as well. The mustard was really nice. There was also an opportunity to review some of your favourite places in Sydney at the chrome book table and also there was a massive map where you could post up your favourite places in Sydney. 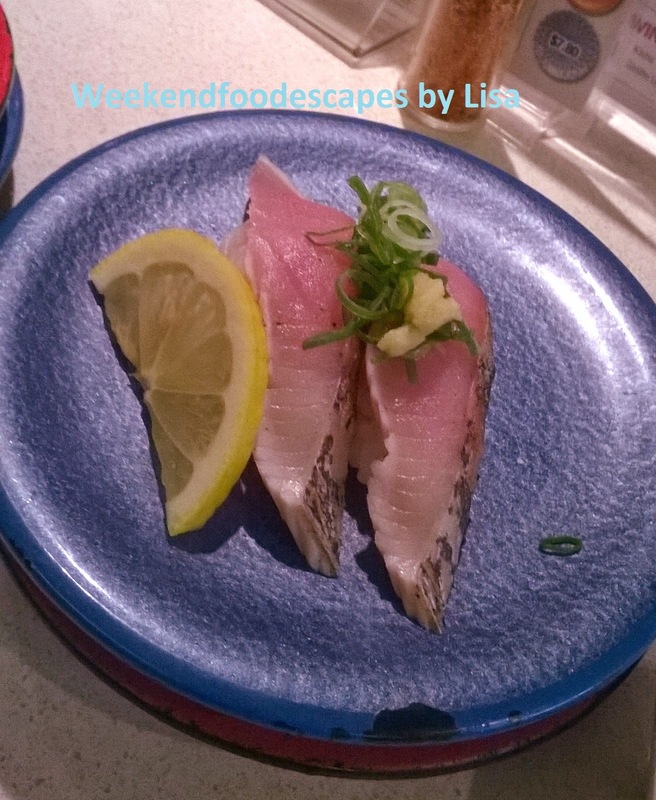 I went for a local in West Ryde in Tatsuya! Represent. I'm looking forward to more City Experts events! Start reviewing Sydney! I ordered Thai Metric for delivery for the first time. I've never been to the restaurant either so I had no expectations. I ordered via Menulog for Thai Metric and received 10% off for the first time. 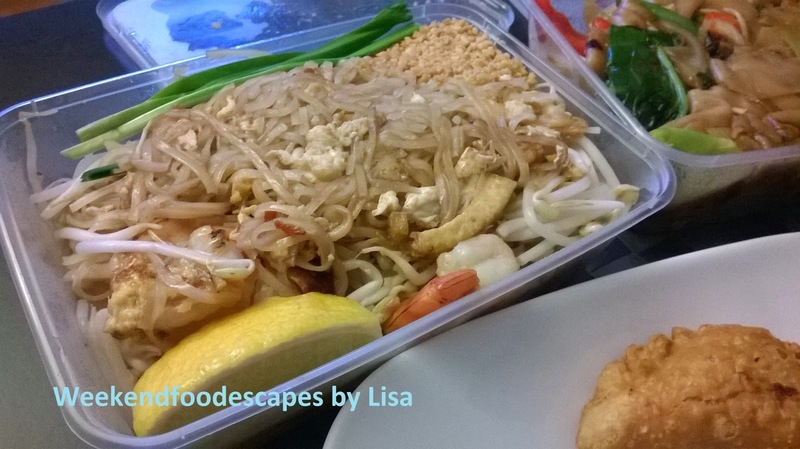 The Pad Thai with prawns ($16) was a good delivery effort. There were plenty of prawns, a dash of peanuts, slice of lemon and some chives to the side. 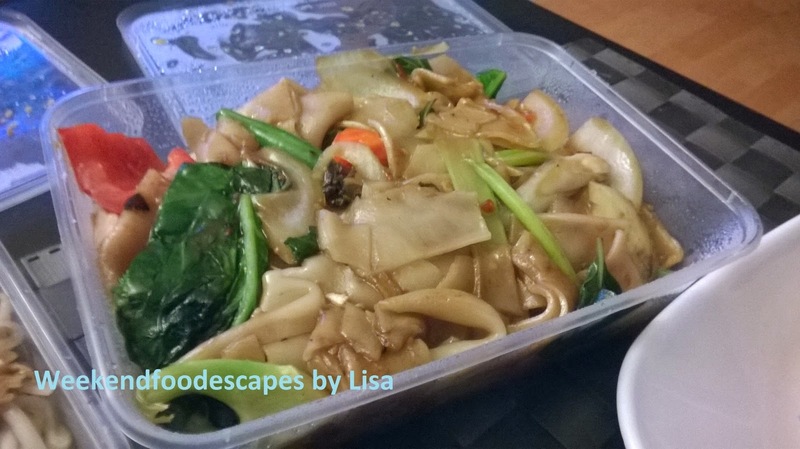 The noodles were nice but just lacking in that hit of flavour compared to my other favourite pad thai deliveries. 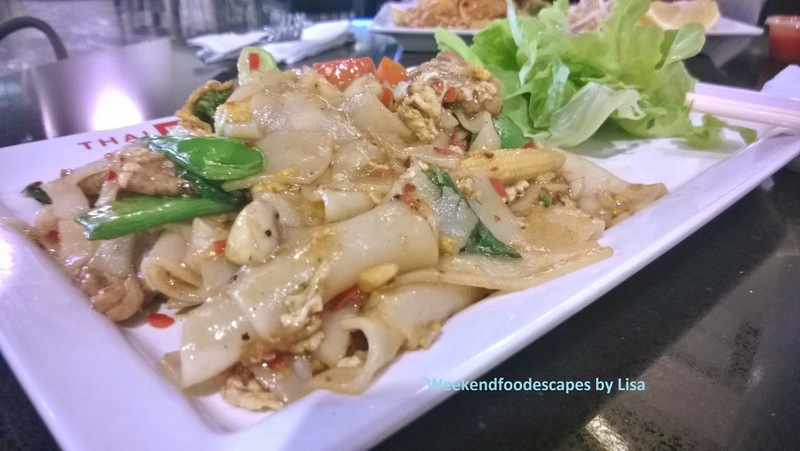 The Pad Kee Mao (vegetarian, $12) was delicious and certainly above average than other delivery Pad Kee Mao. 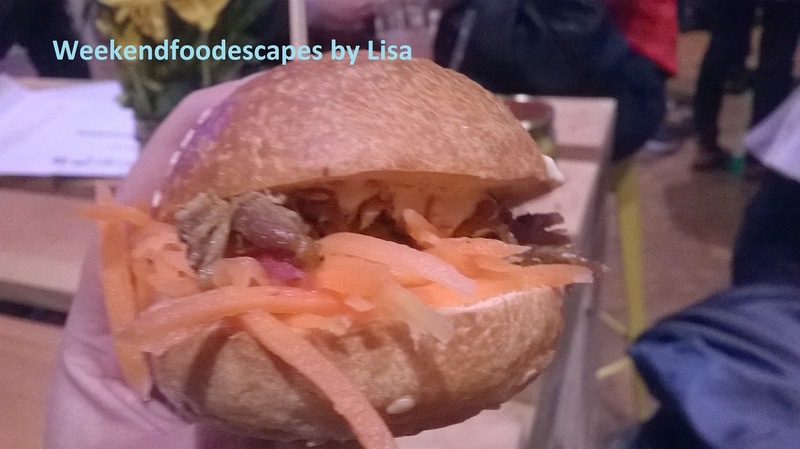 It was jam packed full of flavour and a dash of chili. There was a good dash of vegetables and the most important component flat rice noodles were so delicious and easy to devour! 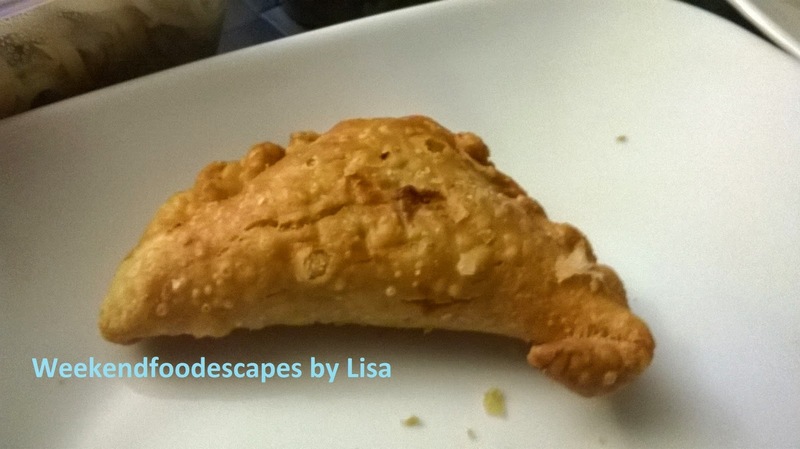 The curry puffs were crunchy, crusty with a vegetable middle. A nice side if you have a hungry brother with you. You will get 4 curry puffs for $7. 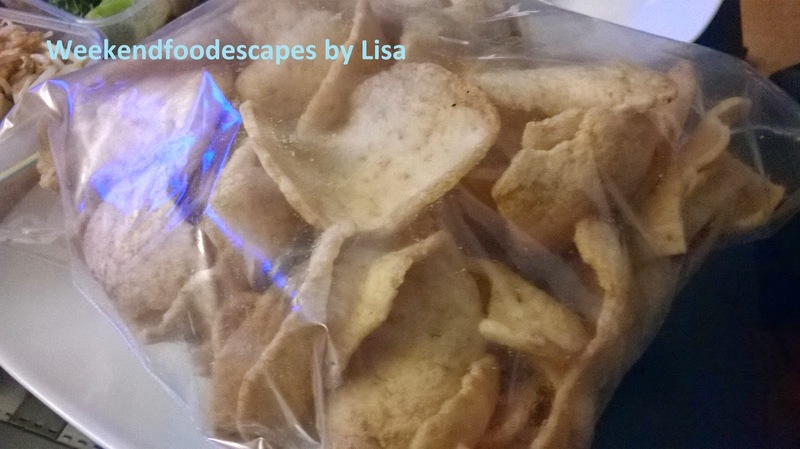 I liked the prawn crackers ($3) and they can get addictive so that's why I ate a handful and sent the rest to my brother. You can eat with your eyes at Costi's Fish and Chips because when you order the mixed grill of seafood ($11.50) there is a mountain of food for you to enjoy. 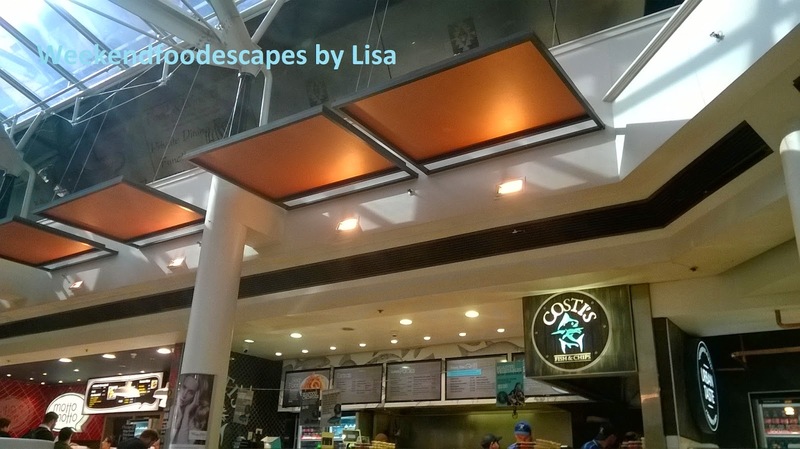 Costi's is a popular venue in the Greenwood Plaza upstairs foodcourt. It comes with half a fillet of fish, prawn skewer (choice of chili or satay), two crumbed pieces of squid, a baby octopus with your salad. You also have the option of salad and chips, rice or double salad. Sometimes I even trade the chips for two potato scallops in a bid to try to contain my chip cravings. 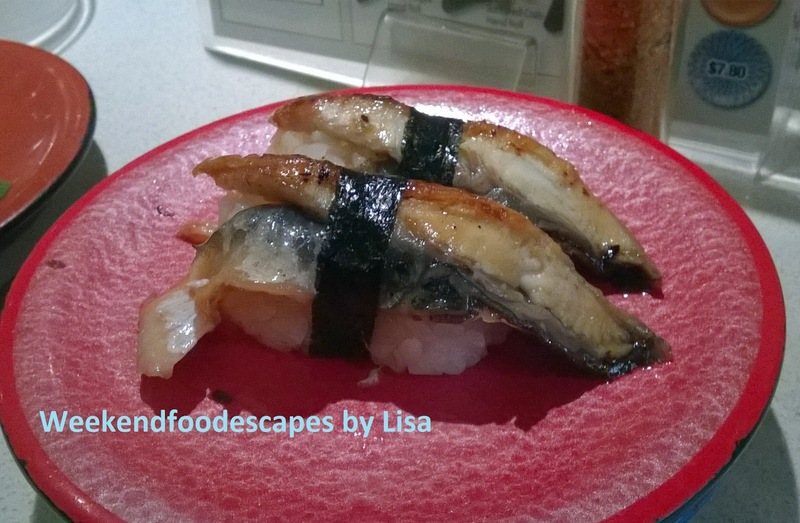 There are also other tasty combinations and varieties of fish to choose from. I normally get the regular mixed grill because of the variety and value. Another Bento craving led me to the local Yatai. Right next to the train station, it's a convenient place to have lunch once you've reached West Ryde Station. I love their lunch specials. I always get the Sashimi and other protein combination for $11.90. 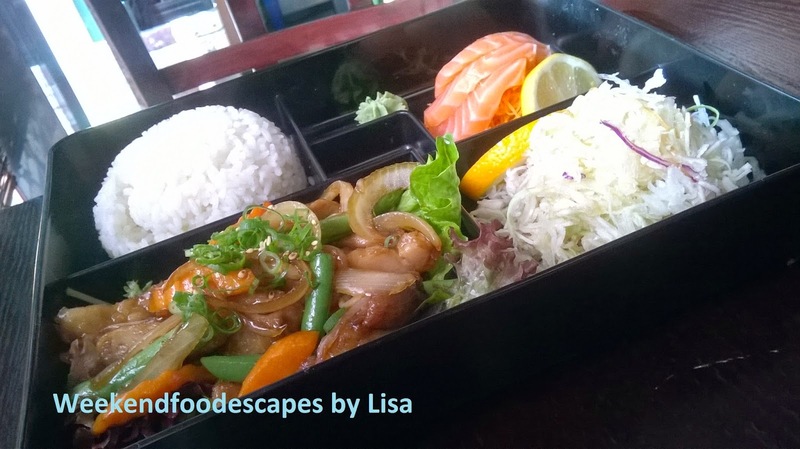 On this occasion I chose the Teriyaki Chicken and Sashimi combination. The chicken was beautiful and well cooked. The beans in the chicken were a bit crunchy which is not my preference in a hot dish but it did add something different to the palette. 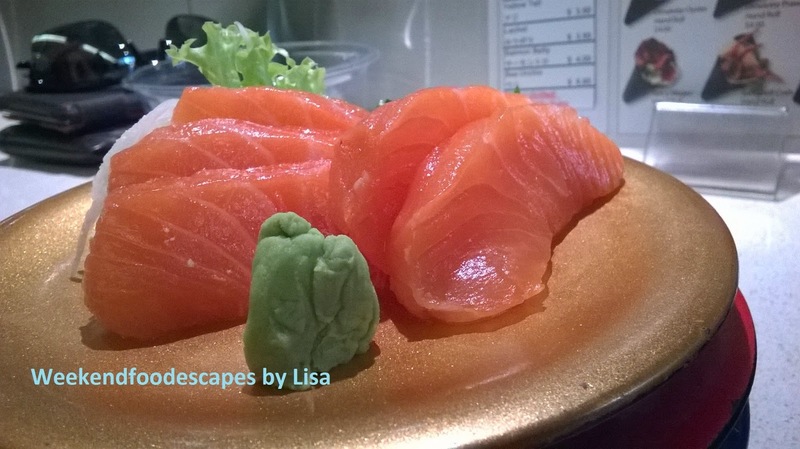 The sashimi is fresh and consistent with my previous experiences. To finish off the meal, eat all of that cabbage salad which is dressed with a sweet dressing. Love it! Pho Pasteur is a well known restaurant in Parramatta. There's a copy cat on Argyle St as well which is a cleaner version. I like to go to both for different reasons. I line the original store on Church St because I think the Pho (Noodle Soup) broth is amazing and full of flavour. This restaurant has been in Parramatta forever. 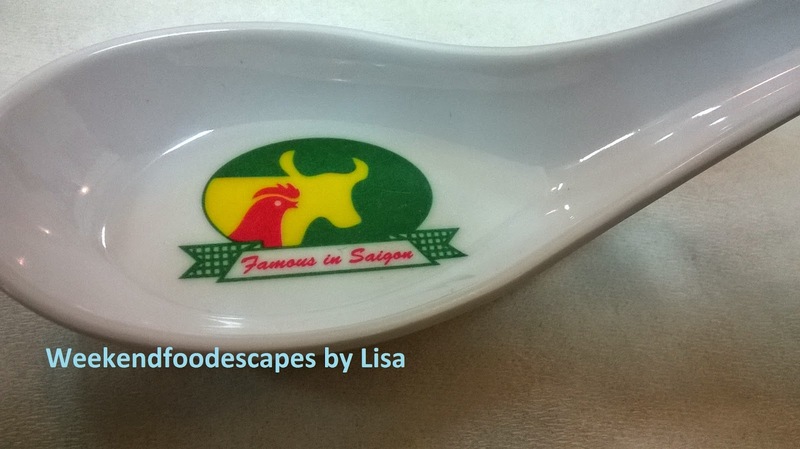 Apparently it's famous in Saigon according to the spoon. The regular size of Pho Tai is $11.50 (Noodle soup with Raw Beef) and is more than adequate for your average appetite. The broth is full of flavour and packs a punch of flavour. Compliment the flavours of the broth with thai basil, lemon, chili and bean sprouts! If you love the classic pho flavours, you can also add more hoisin sauce and thick chili sauce. 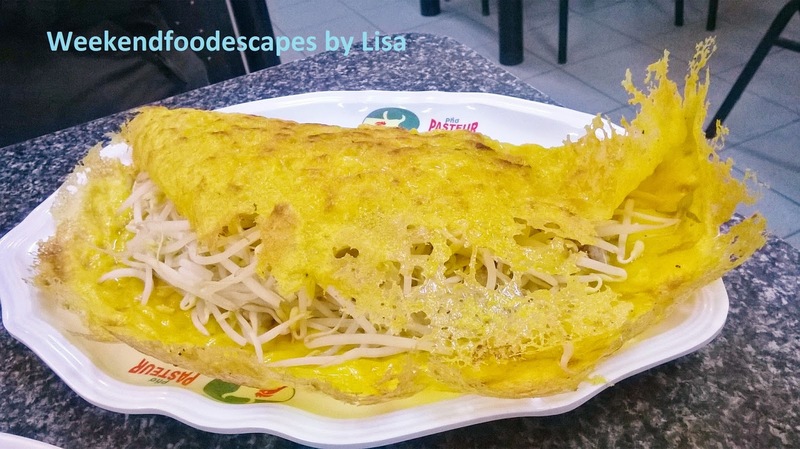 If you read through all my Vietnamese blogs, you'll see that I order the Vietnamese pancake when I can because I love it! 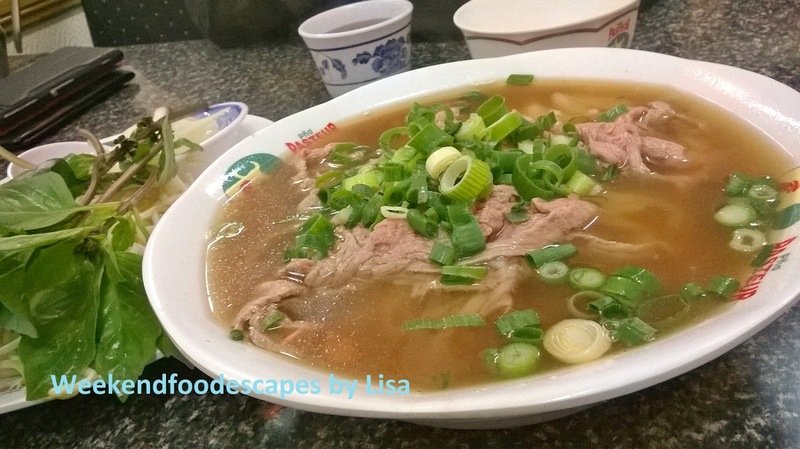 It's generally full of bean sprouts, a touch of pork and a few rare prawns ($14.50). The Pho Pasteur Church St version is good but the Argyle restaurant may just win over on this dish. 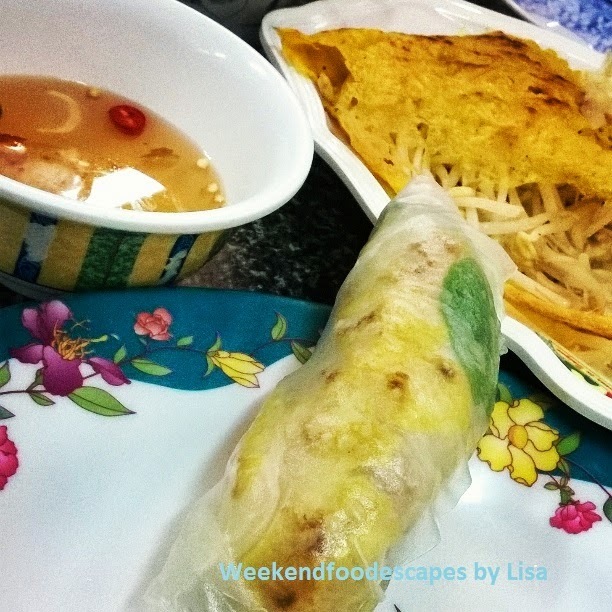 I think the pancake is best enjoyed within some rice paper rolls so for a fee of about $2.50 then you can order some rice paper and roll up the goodness of the pancake with some lettuce. Alternatively, you can put the pancake in the lettuce and use that as the wrapper to dip into the fish sauce based sauce. You just get those Xiao Long Bao cravings. Those bursting soup filled dumplings that just dance on your tongue along with the vinegar and soy sauce. Wow. You sip hot jasmine tea and start to devour other delicious chinese treats. I love it. Taste of Shanghai for me is a great place for dumplings. It can be cheap and cheerful in terms of the dumplings and noodle dishes. But if you want to be a bit posh, you can also go all out and order their more dear dishes. I went cheap and cheerful once again because I love the dumplings. 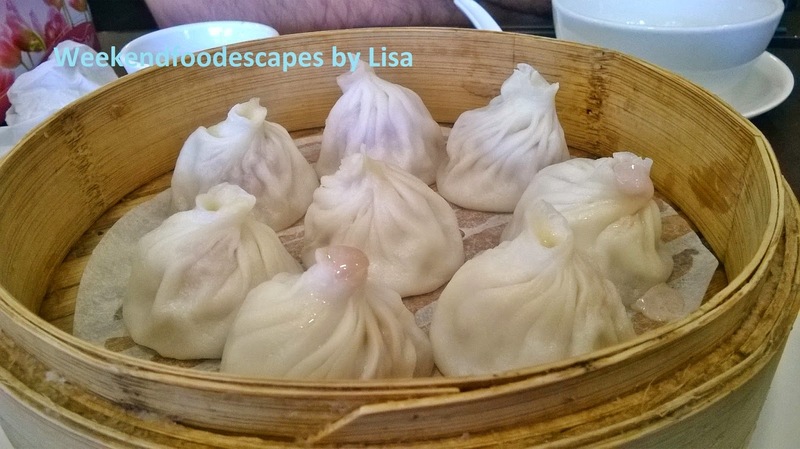 The Xiao Long Bao ($9.80) is very consistent which is a surprise for a chain store. Freshly steamed dumplings dipped in a bit of vinegar (2/3) and soy (1/3) with a lashing of chili sauce that bursts soup in your mouth is an experience. It's amazing! 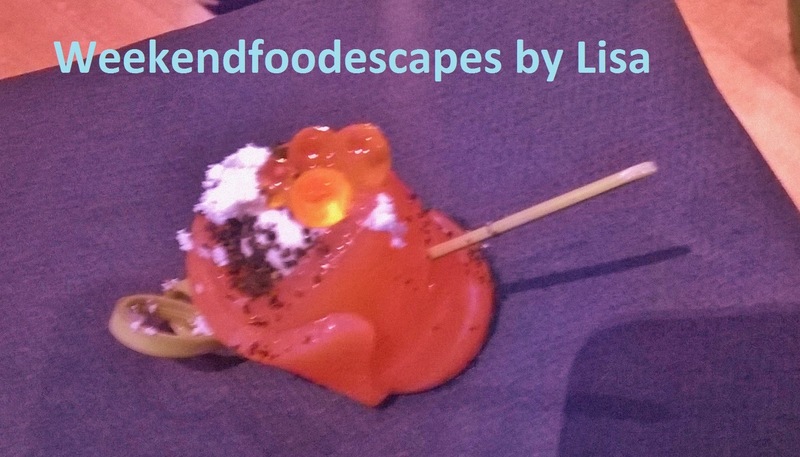 Aren't we lucky that all these restaurants have popped up across Sydney! I love the taste of Shanghai. I am a regular here at the Eastwood store. Another one of my favourite dishes is the dumplings in chili oil ($9.80). The chili oil is light and slightly sweet. It's not a solid strong chili. 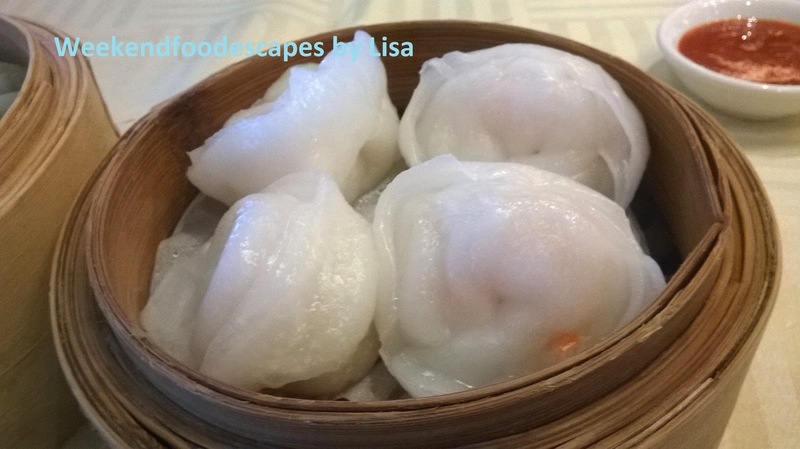 The skin of these dumplings are thicker than the Xiao Long Bao and can be a bit slippery but I love it! 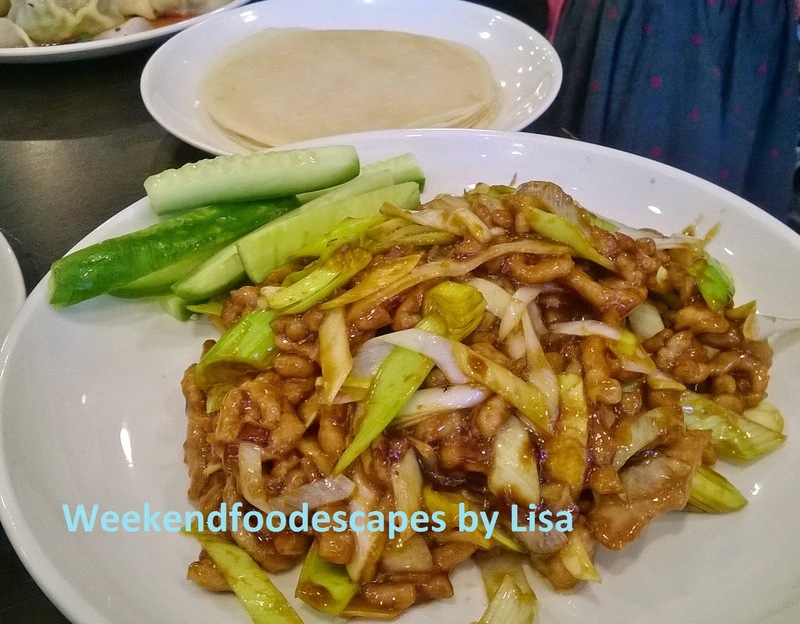 For the first time at Taste of Shanghai I also tried the Peking Pork with pancakes. I rolled the pork into the pancake and added the cucumber. The pork was very rich in its marinade so if you were without cucumber then it would have been a bit overpowering. The pancake was soft, thin and a nice hand size. I'm not sure I would order this again given they have a very extensive menu. I was very tempted to order the buns with sweet condensed milk. The buns taste like donuts but I behaved on this ocassion. Sometimes there is a line but if you're only in a duo then the line can move quickly. Thai Riffic is a good, solid food court style kind of Thai. When you are walking around the luxurious Westfield and eyeing off all the food. You can rarely go wrong with Thai as I believe bad thai is rare. 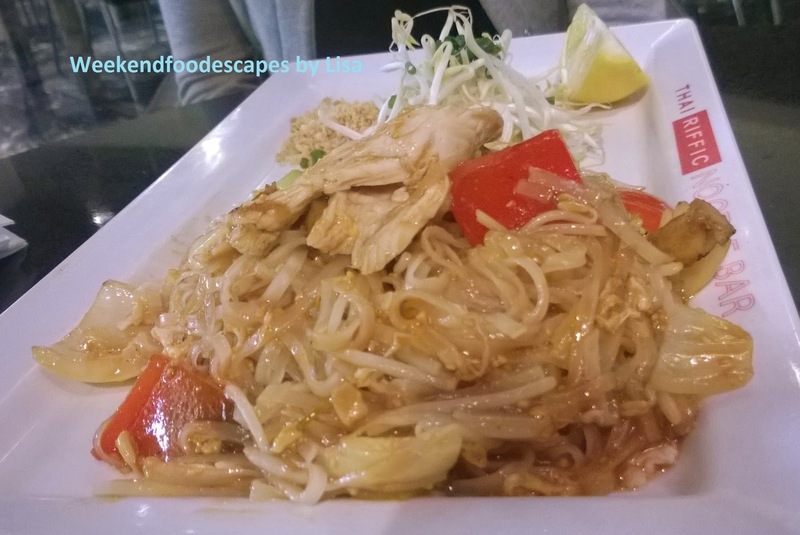 With a gal friend of mine, we ordered two classics in Pad Thai and Pad Kee Mao. Thai Riffic provides a good portion of food. While it doesn't bring the AMAZING that I got from Holy Basil or Home Thai or even Thai Face - I think Thai Riffic does the job. Ikea is famous for its build it yourself furniture but also it is very famous for its Swedish meatballs. The meat balls taste warm and homely. The dish of meatballs is covered in a cream sauce with a touch of cranberry sauce, with a side of mash or chips. Amazing. For a touch of home in your stomach. You need a meal after trekking through the fun maze that is Ikea. It's a definite recommend for those looking for a cheap and cheerful meal in a lunch room setting. A nice cheap but tasty meal! I love Costco food too! It must be after the high of bargains. 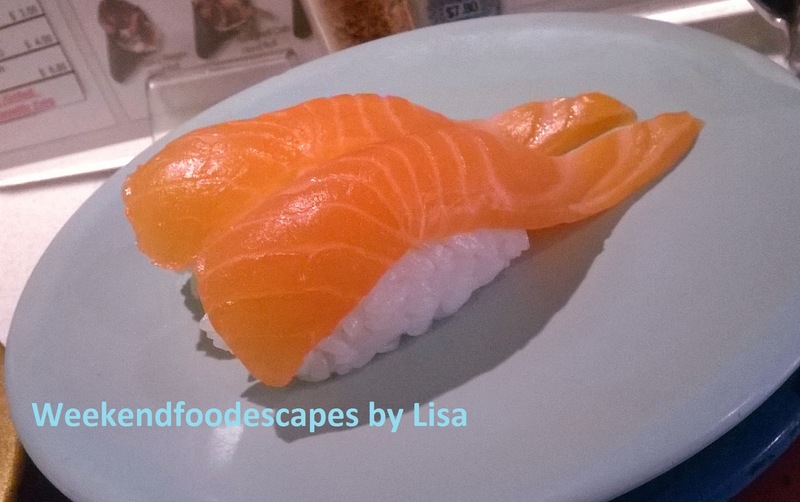 Fresh from the fish markets each day, Makoto Sushi serve up a train full of delicious sushi and sashimi treats. Boy did I miss that fresh sushi and sashimi. They usually have a long queue for lunch despite all the competition in Chatswood. 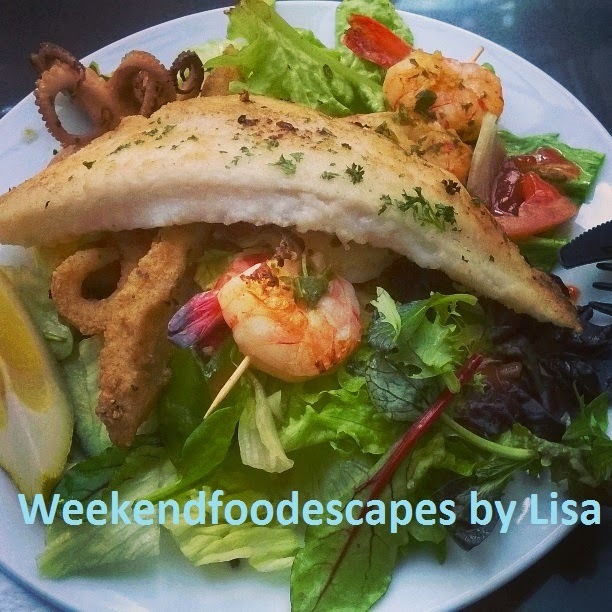 There's a lot of great food in Chatswood too. 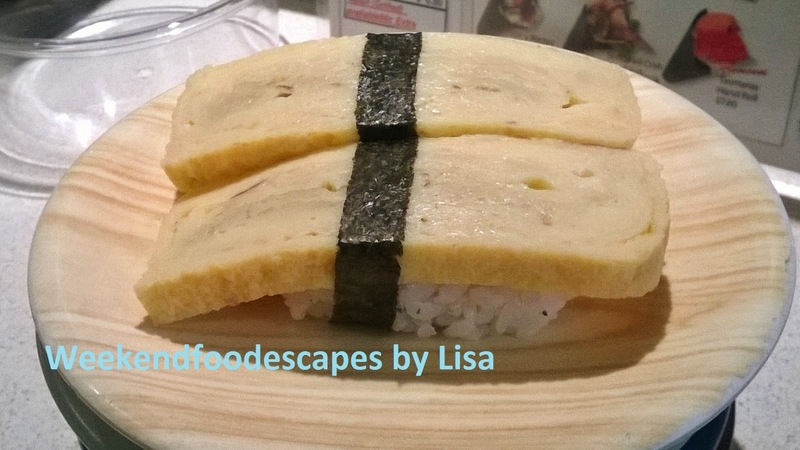 I think I would have to say this is one of my favourite sushi bars. 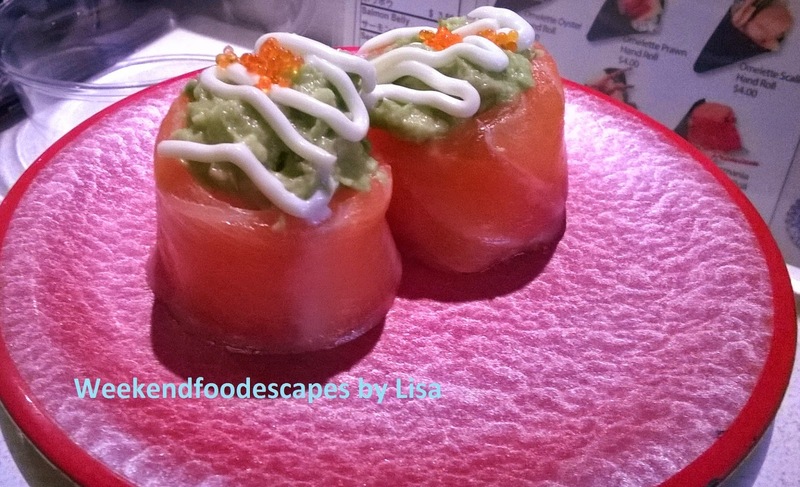 I like the variety of fish they have beyond the conventional - Salmon, King Fish and Tuna Trio. 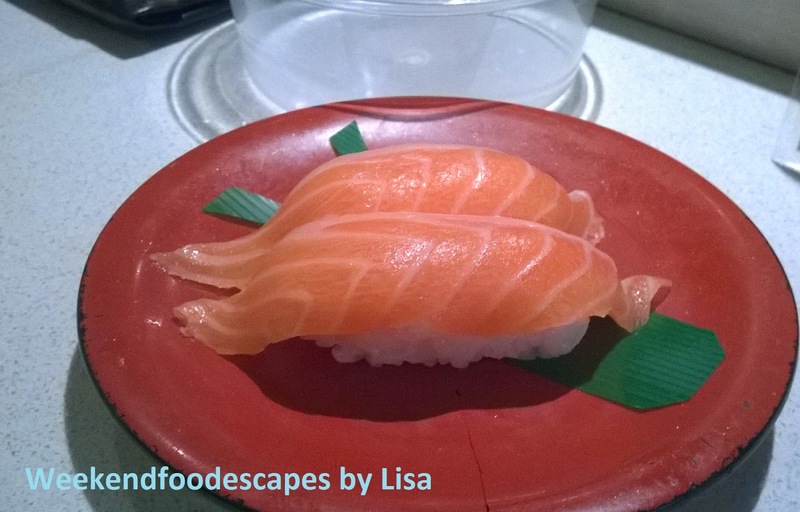 This particular lunch (due to allergies of my company) was salmon focused with an array of seared salmon, fresh salmon nigiri, my favourite - eel, bonito fish, salmon sashimi with some egg nigiri. It was all washed down with hot green tea. It's been almost 9 months since I've had the pleasure of visiting Makoto. 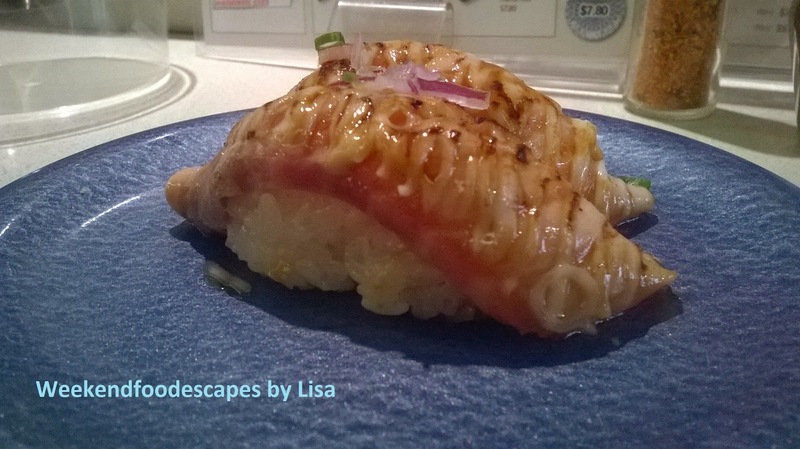 As I enjoyed my lunch, it made me relive what I love about Sushi trains. I love the variety, the fresh fish and friendly customer service.